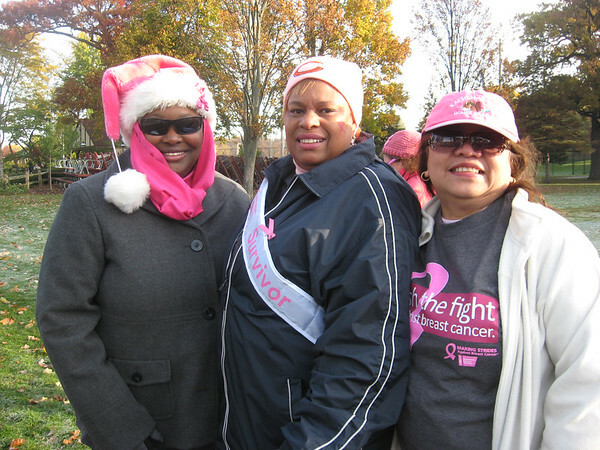 From left, Victoria Banks-Buford of Lake in the Hills, Victoria Dixon of Elgin and Judith Schiemann of Hoffman Estates show their support for breast cancer research at the American Cancer Society's Making Strides for Breast Cancer Walk Sunday at Pottawatomie Park in Saint Charles. Dixon, 57, is a six-year breast cancer survivor. Advocate Sherman Hospital in Elgin hosted the event.